We Serve these Areas Below on the North Shore and you can CLICK HERE for an instant quote. The arrival of a storm on Sydney's North Shore triggers the residents of Turrumurra and Lane Cove to scramble to find a gutter cleaner. If you find yourself in this category you can get a free quote by CLICKING HERE. There are so many Gutter Cleaning Services to choose from what differences are there between one gutter cleaning service and the other? Well if this is not the first site you have come accross I would be surprised as even on the North Shore there must be at least 20 or so Gutter Cleaning service providers offering their service to the people of Lane Cove and Turrumura. You will hear the usual mambo jambo "Local" or something like "We Go The Extra Mile! ", but these providers are all so strikingly similar and familiar to people in Lane Cove and Turrumurra. My Gutter Cleaners will definitely offer those same magic touches to every enquiry they receive from either Lane Cove or Turrumurra. Our massive point of difference is that you can meet and learn about your gutter cleaner and ask them for a quote through the Foreverclean Platform. No phopnecalls, No back and forth emails and definitely no need for SMS. Residents of the North Shore are extremely busy people especially in the suburbs of Lane Cove and Turrumurra, we understand this extremely well. You can get an instant quote and book your gutter cleaning without even lifting the phone! (Unless you are browsing this site on a mobile phone!) Both Lane Covites and Turrumurrans will know their price for gutter cleaning, know what date and time their gutter cleaner will arrive and know exactly what their gutter cleaning service provider looks like. All without sending a single email or text message! Now add to that all the essential extras like before and after photos, clean up all the mess and providing a roof report and you have a service that is pretty hard to refuse! If you need Gutter Guard installed in either Lane Cove or Turrumurra on the North Shore of Sydney our Gutter Cleaners can give you a quotation for that service too. 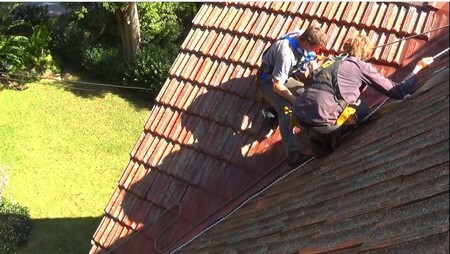 Whether it's a Lichen Infested Wahrooongan Terracotta tiled roof or a slippery slate roof in Lindfield our Gutter Cleaners on the North Shore will get your gutters cleaned to a very high standard. 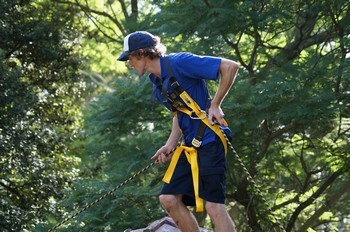 Imagine a storm hitting the North Shore of Sydney and you need to find a gutter cleaner fast. You are on the train commuting home from Central Station and you need to get the task off your back so you can enjoy time with your kids or grandkids instead of making a call or typing out an email on the train on your phone or tablet.aning service issue as there are probably more gutter cleaning services in Mount Keira than trendy coffee shops! So what should the population of Thirroul be looking for during their next gutter clean? Through the Foreverclean Platform residents of Wahrooonga and Lindfield on the North Shore of Sydney can get their quote for gutter cleaning, find a gutter cleaner they prefer and book them in within 3 minutes of opening the website. That is unheard of in most industries on the North Shore of Sydney, except maybe Uber or Menulog. There are many platform websites out there that bring tradies to your door with their multiple quote systems offering Gutter Cleaning Services to the people of Wahroonga and Lindfield, but as you know they have some pretty major flaws in their model. Firstly, they will rank a gutter cleaner who is paying them the most money first and then hard working effecient Joe in Lane Cove is left out because he doesn't want to waste money on advertising. Foreverclean will give you the highest rated gutter cleaner first, this gutter cleaner has been rated from many jobs on the North Shore including Lane Cove and Turrumurra by real customers who have used their service. 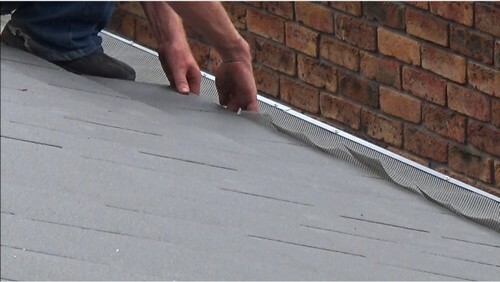 What about installing Gutter Guard in Wahroonga or Lindifeld? 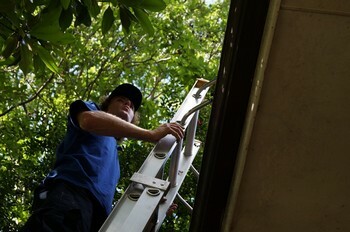 Yes, our Gutter Cleaners certainly can measure your gutters and provide you with a quote for Gutter Guard Installation. When a storm hits on the North Shore of Sydney there is sudden spike in demand for a gutter cleaning service in Both Killara and Mosman! The residnets of Killara can find it difficult to distinguish the differences from one gutter cleaner to another. Most of the people in Mosman know that the only choice for a great gutter clean is the Foreverclean Platform. when it comes to installing gutter guard on the North Shore foreverclean's network of gutter cleaners can give you a free quote especially in Mosman and Killara. Our gutter cleaners can unblock your downpipes and will always ensure that your property is left cleaner than when they arrived! So when you need Sydney's finest gutter cleaning service on the North Shore, you know you can get an instant quote and book through Foreverclean.com.au and rest easy knowing you will be well looked after in both Killara and Mosman. When bushfires hit the news Sydney North Shore locals will start searching for an efficient Gutter Cleaning Service to rid them of the debris in their gutters. Home owners in Neutral Bay have a tough time trying to figure out what separates one gutter cleaner from the next! Almost all of the residents of St Ives already know that the only website they need to use is Foreverclean.com.au for a superb gutter clean. what about gutter guard installation on the North Shore? Our platform of gutter cleaners offer free gutter guard quotes with all their cleans in Neutal Bay and St Ives. From Killeaton Street to Mawson street and beyond, we have St Ives covered with top rated gutter cleaners! If you reside in Neutral Bay you may have to get a Plastic Leaf Screen installed as your properties are usually within 100m of the salt water. 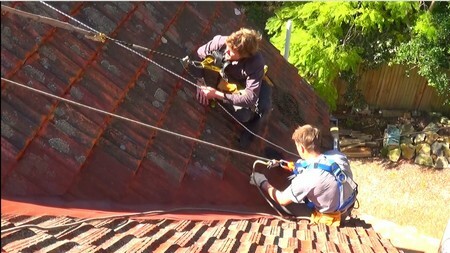 Wind the wind blows in Pymble and Artarmon on the North Shore of Sydney the citizens will reach out for a local Gutter Cleaning Service to help clean out the mess in their gutters. The people of Artarmon find it especially difficult to determine what differences exist between all the gutter cleaners offering their service. On the other side of the coin, the residents of Pymble know that their only option for a first class gutter clean is the Foreverclean website. If you require a quote for gutter guard installation on the North Shore of Sydney, Foreverclean can definitely give you a quote in either Pymble or Artarmon. It's 3am on the North Shore of Sydney in the suburbs of Gordon and Belrose, the residents are awoken by the sounds of lightning cracking and downpipes overflowing! They need a Gutter Cleaning Service to help clear the muck from their gutters. Most of the locals in Gordon do have a bit of a hard time trying to selec t the correct gutter cleaner as everyone seems to have such similar offerings. But the people of Belrose have known for a while that it is so easy to book a gutter clean on the Foreverclean website. Pospective Gutter Guard Customers can definitely get an obligation free quotation for the installation of a leaf screen on the North Shore's top suburbs of Gordon and Belrose.